Why Should I Collect Data? graphs, if collected with a purpose, it can be very useful. When a student has an Individual Education Program (IEP), it is even more important. According to IDEA, the federal law governing special education in the United States, IEP teams are obligated, through Progress Monitoring Procedures, to collect data to provide evidence for a student's progress toward the goals in their IEPs. We can use data to determine the level at which a student is performing so that we can select appropriate goals and design an effective program. It may impact our teaching style or chosen strategies as we reflect the situations in which a student shows the most or least progress. Data can also provide us with the means to communicate progress or, lack thereof, to parents, in a clear understandable fashion. When it comes to tracking progress toward an IEP goal, data collection forms go from being valuable to being imperative. Data collection can be simple or complicated. It can be quick or long and drawn out. The easier and more practical it is, the more likely it will be used effectively. Complicated tracking methods should be used sparingly, or people may stop completing the forms or begin looking for shortcuts. Tracking progress can be as marking Xs or checkmarks on a sticky note as a student remembers or forgets to raise his or her hand during a class discussion. Alternatively, it can involve detailed notes requiring specialized professional interpretation, for a student exhibiting severe, challenging behavior. The type of information collected will depend on the needs of the student, the chosen goals, the classroom environment and the educators involved. When trying to meet an IEP goal, data collection forms can make tracking progress easy. This simple downloadable IEP goal data collection form is appropriate for use in any classroom, and can be adapted to fit almost any goal, whether academic, social, behavioral or life skills. Many types of forms can be created or adapted for individuals, based on those found in textbooks or on the Internet. Tracking forms are often used when challenging behavior is an issue, to help show patterns such as time of day, type of assignment or possible functions of behavior. Often, when a complex goal is too difficult for a student to meet, it can be broken down into steps that he or she is able to accomplish independently. Tracking progress in each of these mini goals can help a teacher decide when to move on to the next step. A task analysis evaluation form, also downloadable, can be very handy. There are slight variations in the SMART acronym but the idea is always the same: goals need to authentic for the student and clear enough to show meaningful progress. When creating a data collection form, a few things need to be considered. How long is the reporting period? How many staff will be working with the student? Will there be training or debriefing around the training sheet? Will substitute support staff be able to use it without training? Do staff members understand the different levels of prompting? Are they aware of how much support they are providing? With a little forethought, your data collection forms will give you more valid, more useful results. I’ve Tallied and Tracked: What Now? 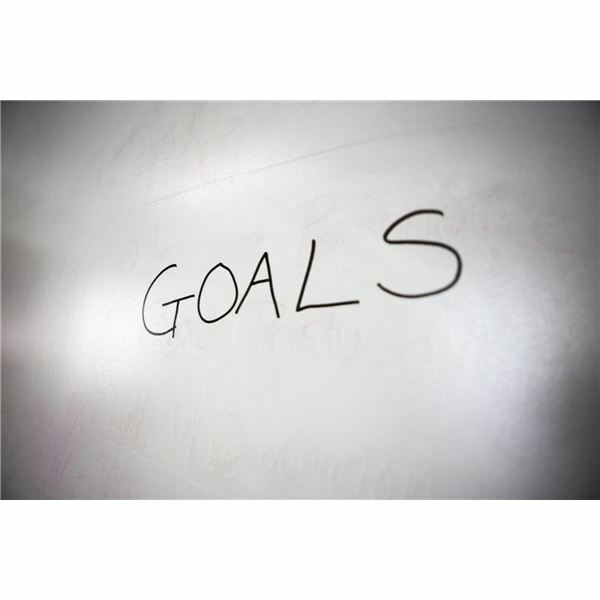 Hopefully, you’ve been able to track for a significant amount of time, as the student works toward a goal. One or two days usually is not enough, as illness, stressful events and many other factors can affect a student’s progress on any given day. Eight to 10 days is a long enough time to get an accurate picture, in most cases, allowing you to determine where the student is at and whether or not they have met an IEP goal. Take time to review the information you have collected and watch for trends. Reflect on teaching style or strategies that seem to be effective versus those that are having little impact. Graphing your data can take a little extra time but it is often worth it, as the visual format can make patterns stand out. Check with your school district. Graphing applications may even be included in your IEP creation software.